The just-released 2019 Prowler Pro and Prowler Pro XT side-by-sides are loaded with sweet technology. Not rip up the whoops like a pro technology, rather, it's tech that delivers whisper-quietness and smooooooooth over everything. 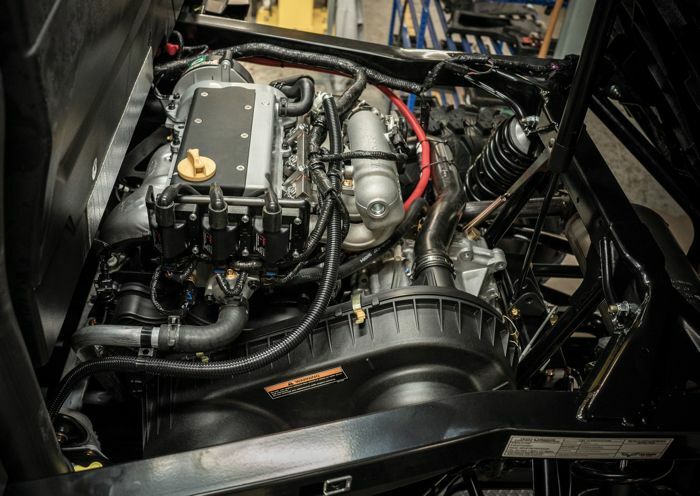 • 812cc liquid-cooled 3-cylinder DOHC closed-loop EFI engine is ultra smooth and quiet. 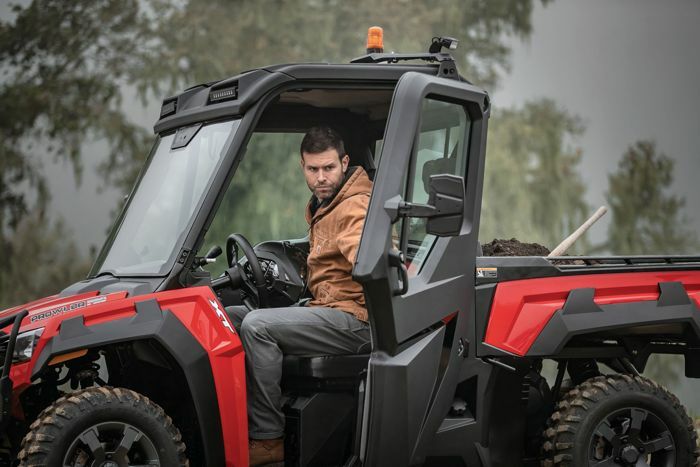 Gas-powered, it produces 50 hp and is tuned to deliver strong low- and mid-range power for maximum hauling and towing performance. 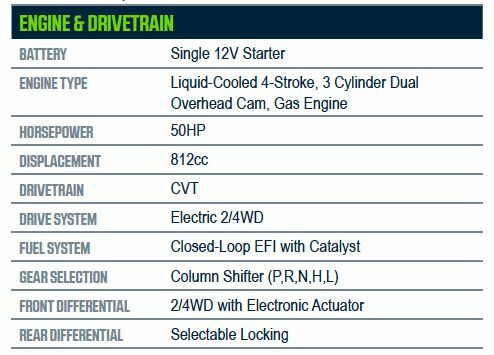 • Electronic Throttle Control Technology is matched by a carefully calibrated CVT drive system to provide ultra-smooth acceleration and off-gas deceleration. 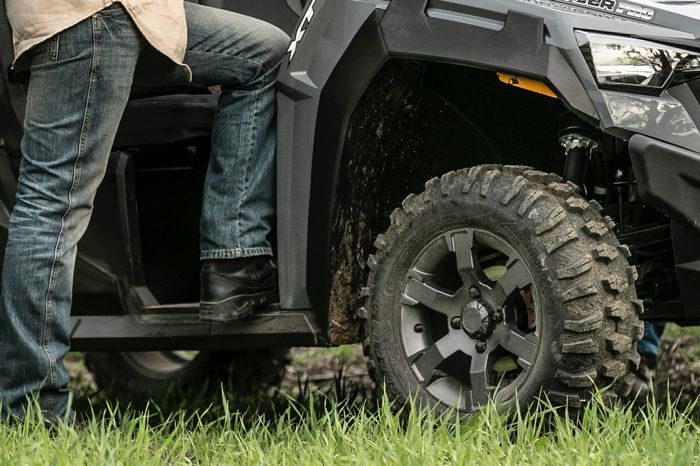 The drive-by-wire system is even programmed to compensate for unintended “foot bounce” on the gas pedal to maintain smooth power delivery when riding over rough terrain. 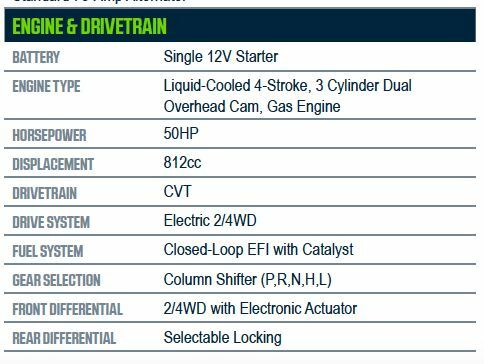 • Electric 2/4WD with locking rear differential provides the exact drive you need via a dash-mounted switch. • The 2,000-lb. towing capacity, 1,500- lb. payload and 1,000-lb. cargo box capacity offer maximum hauling performance and convenience. • 1,000-lb. 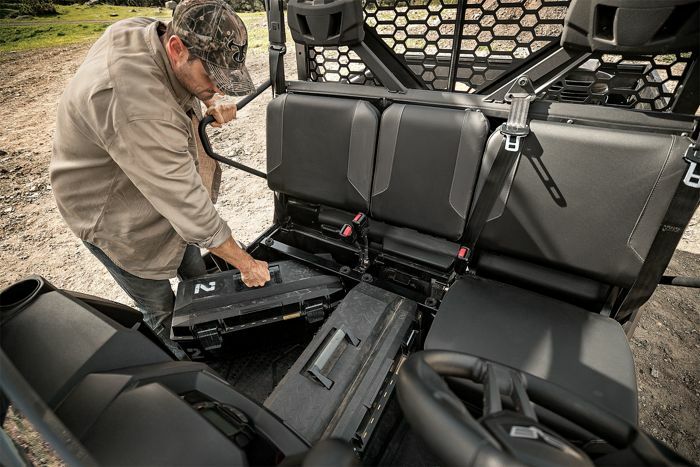 capacity tilting rear cargo box is made of impact-resistant polymer for maximum durability and minimized sound while hauling payloads. 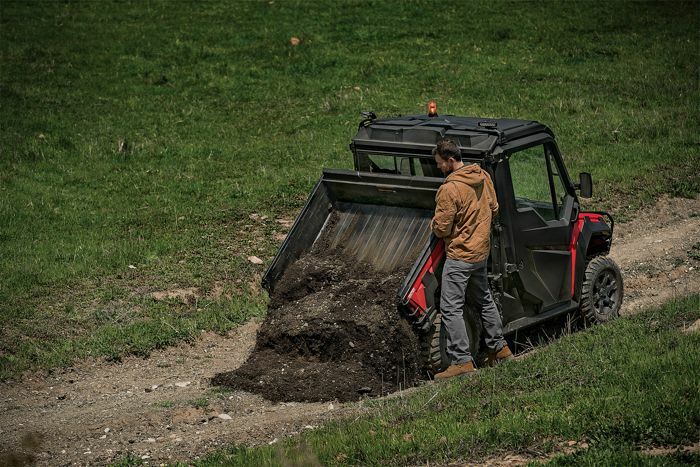 The hydraulic-assist tilt enables easy dumping of heavy loads. 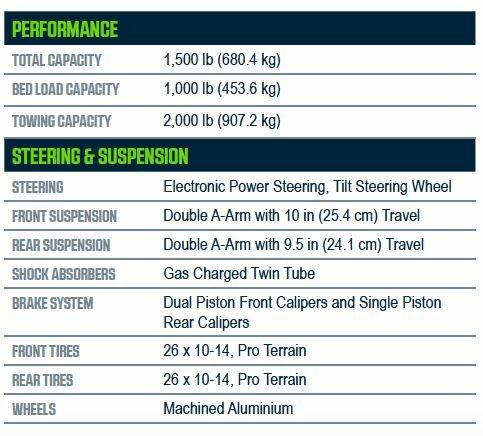 • 10 inches of front suspension travel, 9.5 inches of rear suspension travel and 10.75 inches of ground clearance provide maximum comfort, performance and handling. • Dedicated quiet and vibration-free ride technology produces the smoothest and quietest riding experience of any side-by-side in its class. • 40/20/40 bench seating offers ample comfort and space for a driver and two passengers, with a low 32-inch seat height that eases entry/exit for doing chores. 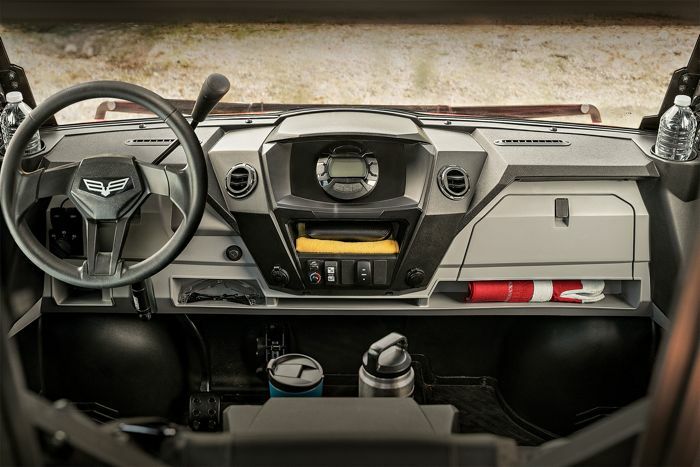 • The modular in-cab design features easily removable passenger seats that can be stowed behind the seat backs to provide extra storage space inside the cab. • Prowler Pro models offer class-leading storage with 17.95 cubic-feet of overall space – including 14.72 cubic-feet in the cargo box. Additional space in the 330-cubic-inch glovebox and behind the seats is easily accessible. • The low 13.5-inch floor height provides easy entry/exit for the driver and passengers. • An infinitely adjustable tilt steering wheel and column-mounted shifter (P,R,N,H,L) enable comfortable operation with maximum space for the occupants. • The adjustable driver seat offers 3 inches of forward/rearward movement. • The ROPS system is roll-formed to provide easy and precise fitment of accessories. 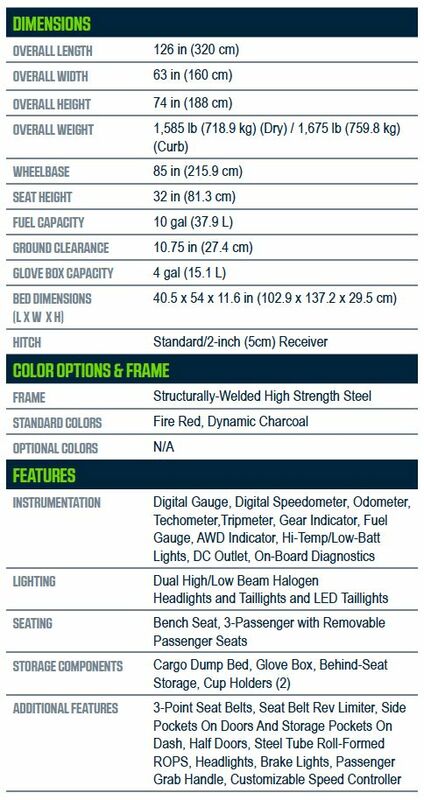 • A customizable electronic speed controller allows the operator to easily set a maximum top speed from 25 to 50 mph (in 1-km increments) via the dash gauge. • Standard 2-inch (5cm) rear receiver hitch and dual front tow hooks. 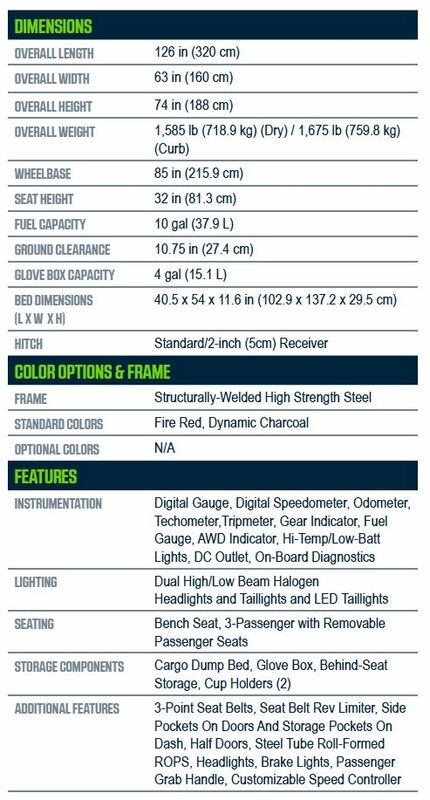 • Prowler Pro models come with pre-installed wiring for a variety of accessories. A standard 75-Amp alternator provides ample electric power for accessories. 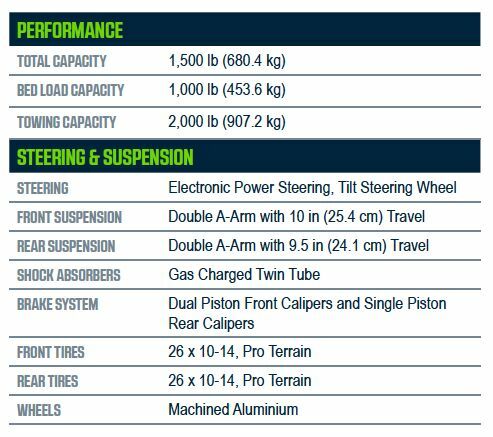 • 26-inch front and rear Pro Terrain tires deliver outstanding traction and performance in a full range of conditions and surfaces. • The base Prowler Pro comes with rack and pinion steering, 12-inch steel wheels and comes in Marsh Green. • Prowler Pro XT model features Electronic Power Steering (EPS), 14-inch machined aluminum wheels and comes in either Fire Red or Dynamic Charcoal. 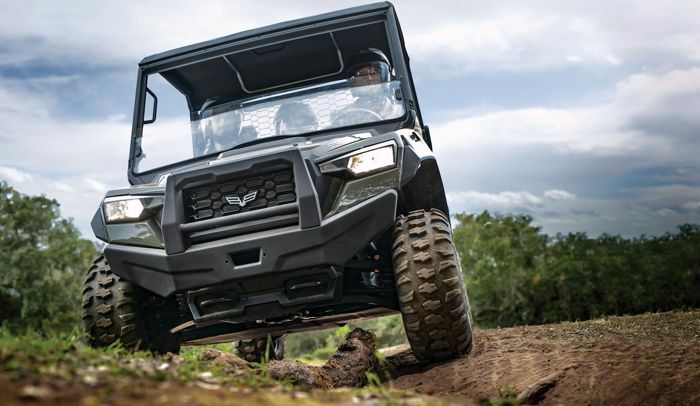 • More than 50 custom-designed accessories are already available from Textron Off Road, including a truck-inspired cab, heater kit, plows, windshields, roofs, gun scabbards, brush guards and more. 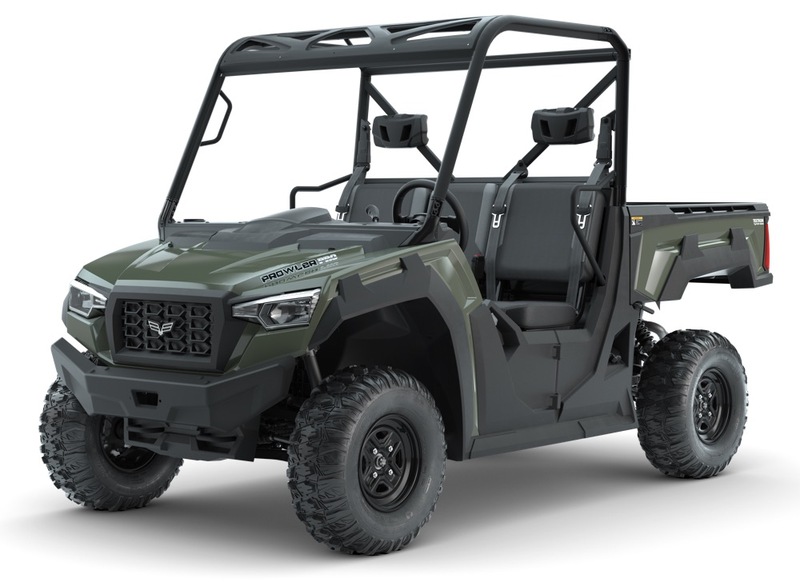 2019 Prowler Pro (the base model). Regular rack steering and steel wheels. Otherwise all the goodies.